This may be the girliest cake I've made. It's so PINK. My Mum is in town at the moment and we've been planning to celebrate her birthday before she heads back to KL. I'd been struggling to come up with a good idea for her birthday cake, until a recent trip to the Hunter Valley with my favourite ladies where Lisa pointed out the most gorgeous caramelised balsamic vinegar. 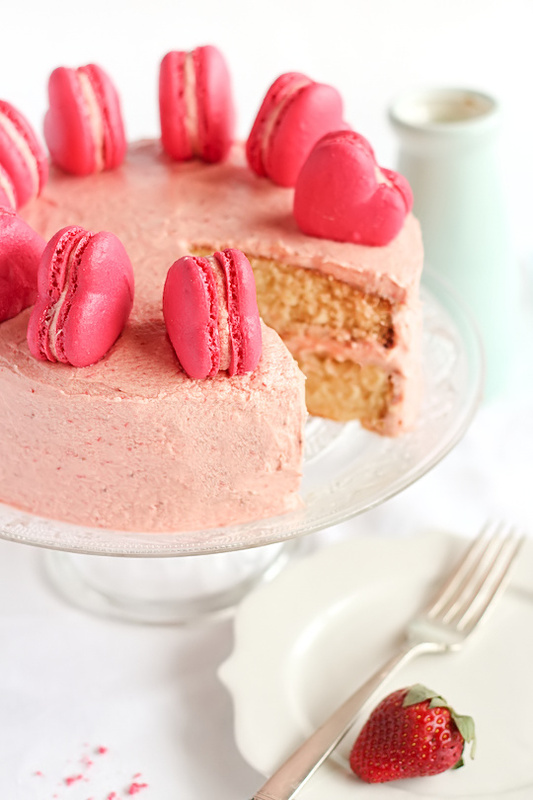 I immediately knew what I wanted to do; a fluffy vanilla cake layered with Strawberry & Balsamic Vinegar Icing, topped with heart-shaped macarons filled with the same icing. I love the combination of balsamic vinegar and fresh strawberries. I've previously made balsamic toffee strawberries and was completely enamoured with the flavours. Strawberries are crazy cheap in Australia at the moment, and super sweet and ripe too, which means that there's not much that you need to do to it. All I did was puree the fruit up and mix it into my regular butter icing (like the one I used for the mint chocolate chip cake) along with that amazing caramelised balsamic vinegar. The icing is ridiculously good. It's packed full of strawberry goodness, and has a gorgeous depth of flavour and a bit of tang from the balsamic. It helped that I had that beautiful sweet and thick balsamic vinegar which seemed perfect to use in desserts, but you could use any balsamic you can get and adjust the amount you add to the icing until it tastes just right. For the cake I decided to try this wonderful looking Fluffy Vanilla Cake from Sweetapolita. I'd had my eye on that recipe ever since she posted it on her lovely blog, and it seemed like the perfect choice to go with this icing. I was having a complete mess of a day in the kitchen, I somehow managed to forget to add the sugar to the cake batter the first time around, and ended up wasting half a dozen eggs (*weeps*) and having to start over. This is why you need to read recipes carefully!! Anyway, second time around I remembered the sugar, and the cakes turned out delicious and golden but not quite as gorgeously light and fluffy looking as the ones on the original recipe. I think I may not have measured the flour quite right so it was a little bit more moist and dense than I wanted, but it still tasted great. 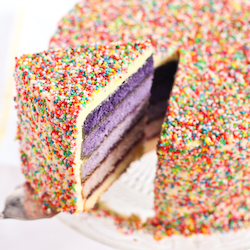 Because there's so much detail, great tips and beautiful pictures on the original post, I'm not going to bother copying the recipe on this post and will just point you in the direction of Sweetapolita (if only because you should check out all her amazing cakes even if you're not making this recipe). 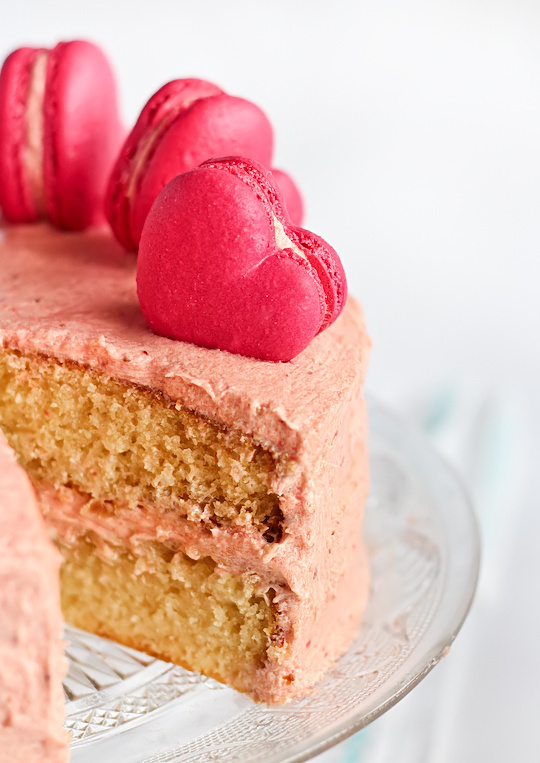 I couldn't resist piping some of my heart-shaped macarons to decorate the top of the cake. 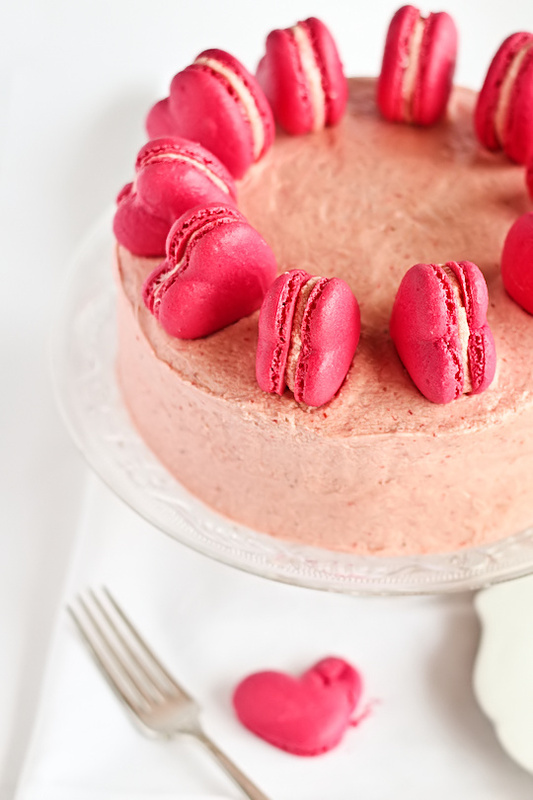 I remembered how much everyone loved the turquoise coloured macarons on the top of my triple-triple chocolate cake, so this time I decided to embrace the pinkness of the strawberry balsamic icing and made these super hot pink heart macarons. It's so bright and cute, perfect for a girly birthday cake. If anyone is curious about how exactly I pipe the heart shapes, I promised Linda that I would make a quick video the next time I made them, it's kinda dodgy but if anyone really wants to have a look, let me know in the comments and I'll try to upload it, see the end of the post. I've been having a weird problem with my macarons recently. The last few batches just didn't turn out right, even though it seemed like I was doing the same things I always did. The shells were extra bumpy and taking forever to bake, plus they kept sinking in the middle so they were crunchy and hollow. I was starting to freak out a little. But I did some macaron troubleshooting on the internet and figured out I might have been overmixing my eggwhites, and huzzah! Macarons were back to normal. Relief. 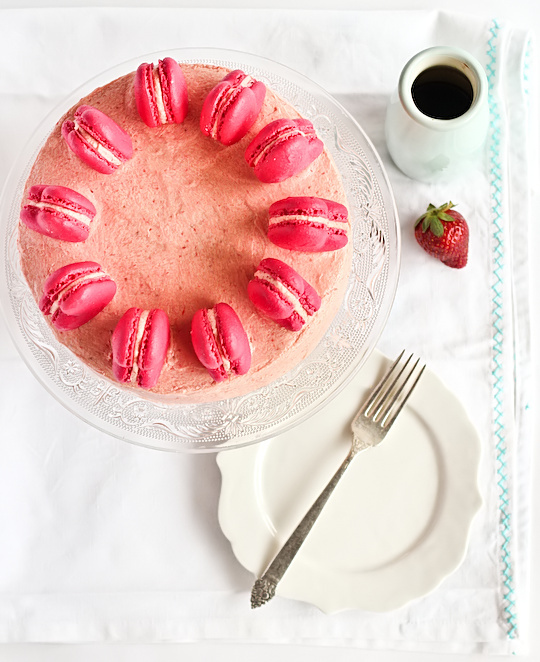 And these macarons were so good with the balsamic strawberry buttercream. The strawberry flavour just sang. It really did! I'd be quite happy to whip up this icing to go with so many desserts, it was great with a plain vanilla cake and with plain macarons but I can also imagine it would be great with a chocolate cake, a sponge or a nice cupcake. The icing is the hero. Prepare the cake using the instructions at the link above. 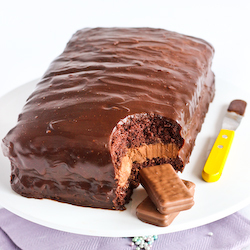 You will end up with two 20cm cake layers. Make sure they are completely cool before icing. Prepare the macarons; Line two baking sheets with baking paper. Place icing sugar in food processor and pulse for a minute to remove any lumps. Stir in almond meal and pulse for about 30 seconds to combine. Place in a large mixing bowl and set aside. Using an electric mixer, beat egg whites and egg white powder in a medium mixing bowl until the egg white powder dissolves and it reaches soft peaks. With the mixer on high speed, gradually add sugar (and then add food colouring) and beat until it reaches stiff peaks. Add meringue and to your dry mixture and mix, quickly at first to break down the bubbles in the egg white (you really want to beat all the large bubbles out of the mixture, be rough! ), then mix carefully as the dry mixture becomes incorporated and it starts to become shiny again. Take care not to overmix, the mixture should flow like lava and a streak of mixture spread over the surface of the rest of the mixture should disappear after about 30 seconds. Place in a piping bag and pipe rounds of about 3.5cm diameter on baking sheets. Alternatively you can pipe heart shapes using a 1cm piping tip and piping fat 'V' shapes. Tap baking sheets carefully and firmly on the benchtop a couple times to remove any large bubbles. Leave to dry for about half an hour to an hour, so that when you press the surface of one gently it does not break. This will help prevent any cracking and help the feet to form on the macs. Preheat your oven to 140-150°C (285-300°F), depending on your oven. Place on top of an overturned roasting tray or another baking sheet if your sheets are not professional grade, for better heat distribution. Bake for 15-20 minutes, depending on the size of your shells. Carefully test if the base of the shell is ready by gently lifting one and if it's still soft and sticking to the baking paper, then it needs to bake for a few minutes longer. Remove from the oven and cool on the tray for a few minutes, then gently remove from the sheet and place on a wire rack to cool completely. Prepare the icing; remove the butter from the fridge 30 mins before starting. Puree strawberries in a food processor or blender (if unavailable you can chop it up and try to mash it through a sieve). Place butter in a large mixing bowl and beat until smooth, fluffy and pale. While beating on medium, gradually add sifted icing sugar and then add the strawberry puree and balsamic vinegar (to taste) and beat on high until smooth and fluffy. You may need to add more puree or more icing sugar to get the right texture, you want it to be spreadable but not runny. Sandwich macarons together with the icing and place macarons in the fridge while you ice the cake. Spread icing over the top of the one cake layer, about 1/4-1/3 of the remaining icing. 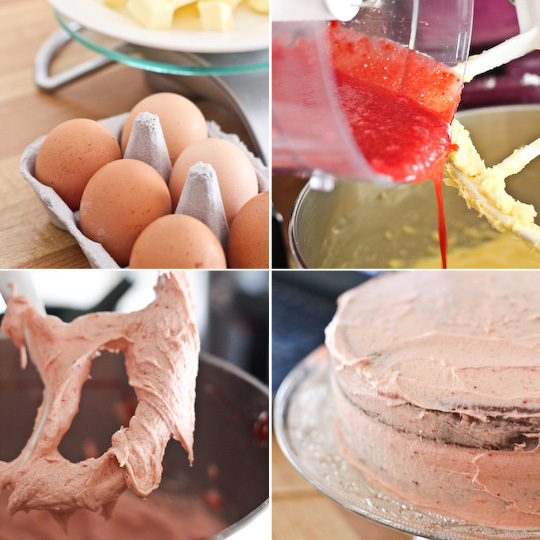 Place the second cake layer on top and crumb coat the cake by covering the entire cake with a thin layer of icing. Use the remaining icing to cover the cake with icing. Smooth with an offset spatula (it helps to run the spatula under hot water often before smoothing over icing). 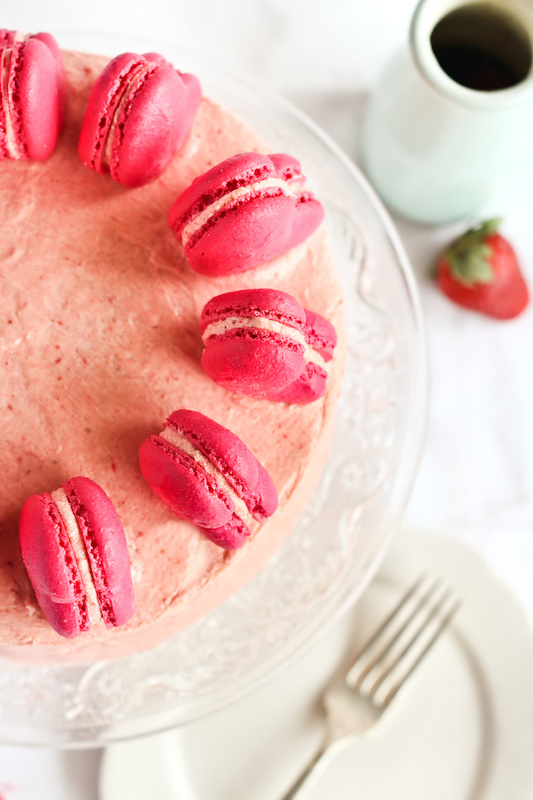 Decorate top of cake with macarons. Chill in the fridge for about 30-60 mins before serving. Edit: Okay here's the link to the crappy video since a couple of people asked :) Sorry it's at a crappy angle, I don't have a tripod so I just kinda balanced my camera on a baking tray. It's not the best example of how I pipe the hearts but you get the general idea, I just pipe a fat 'V' shape. I used the tip of my finger dipped in a bit of hot water to smooth the peaks after I piped them. And umm I only realised I hadn't stuck my baking sheets down to the tray after I started piping, oops. Here's the link. Oh, wow! This looks amazing!!! :D Love it! This is beautiful. I doubt I would ever put in the effort you do for your cakes, but I always enjoy looking at your results! That looks sooo good! I love the heart shaped macaroons on top too! If it tastes half as good as it looks it would be amazing! Your cakes always look perfect, steph. This one is no exception! Would love to try the strawberry balsamic combo one day too. So interesting! Cute! I love how it's so pink and I bet it tastes awesome as well. Happy birthday to your mum! This is just beautiful! What an amazing cake, I love it! So much pinkness, but sooooo cute! Happy birthday to Mother Raspberri! Your macarons and icing are absolutely immaculate. Amazing job and beautiful color. absolutely stunning cake, the presentation, the flavors and the macarons...oh my! the cutest cake ive seen..ever! 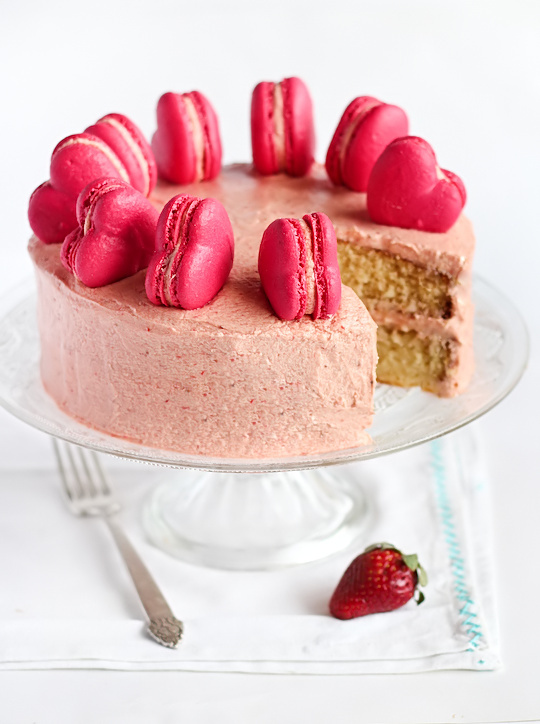 and its pink with pink love heart shaped macarons...my kinda cake for sure! Your heart-shaped macarons are SO cute! I love all the colours and layers on this cake - super girly but all the better for it :-) oh, and happy birthday to your mum! This is just too cute. And looks delish too! You are so talented. This is B-E-A-UTIFUL! Looks absolutely delicious! GORGEOUS! I love the macarons on top. 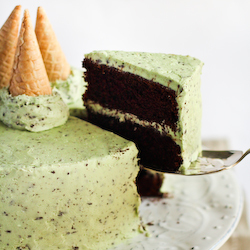 WOW - beautiful cake, your blog is fantastic, im looking forward to reading more of your recipes. The macarons on top are amazing! Amazing!!! This cake looks so gorgeous and girly and that balsmaic strawberry icing sounds amazing!!!! Yum! Lovely pictures!! I love your blog!! this is the perfect cake for St. Valentin's day. You just read my mind since I was searching last week heart shapped macarons for my daughter's birthday party. Please try to upload the video!!! I'd really appreciate your help on this. Regards from South America. What a lovely cake. Your balsamic berry icing sounds delicious. :) Will try that when I have a chance. Your Mom must LOVE your beautiful cake. Love the use of the strawberries in replace of red food colouring. Gives it such a natural look. The whole things looks freakin' delicious!! This is so pretty!!! I love the heart shaped macarons! Oh wow, it's so beautiful, the most perfect girly cake! Til this day, your macarons amaze me. Your creations are amazing. You have so much talent. I can't imagine how many people you inspire.. I'm definitely one of them! it's a beautiful cake. I like so much macaron with a form to heart! Those little macarons made me smile. I have never made them before, but I think I need to conquer my fear if only to make them heart shaped. The heart-shaped macarons are adorable (the best part), almost enough to make me practice piping. Beautiful cake! I bet it tastes great too! Your mom is one lucky lady having you make this for her! I love all the pink, it's perfect! I'm very curious to try balsamic strawberry icing, I have no doubt it'll be delicious! So yummy! I had some friends over tonight and made this for dessert, and it went down an absolute treat. 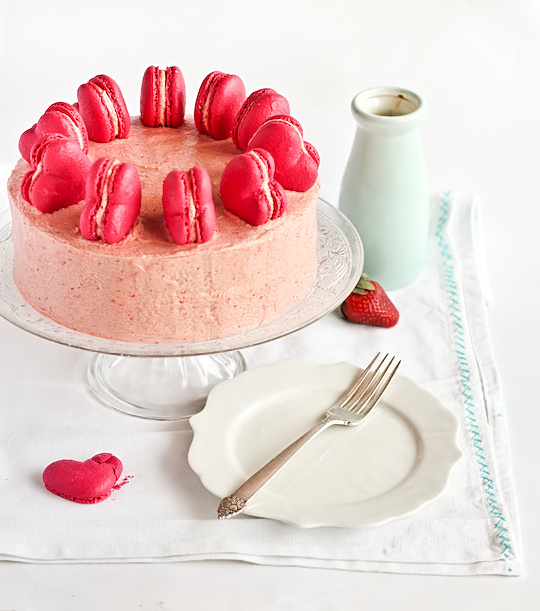 Although I decorated mine with fresh strawberries rather than macarons - I'm not quite brave enough to try them yet! The strawberry/balsamic combination is amazing. Jess - YAY! So glad you liked it :) Fresh strawberries on top sounds just as great! Your heart shaped macarons are the cutest little things ever! Lovely cake. This is the cake I am looking for my daughters birthday. The colors are perfect for her. Thanks for the recipe. Just made this (with a yellow cake recipe from Bakerella) and wow! Just a delicious, light, fluffy, all-round amazing icing! Generally don't have the temptation to lick the bowl clean, but I really had to stop myself with this one! Thanks! Beautiful macs ! Do you use parchement or silpat ? I have problem removing them from silpat. You said to test whether they are ready by carefully lifting them from the baking sheet. I usually let them cool before lifting and the edge is ok but the center is always sticky. Then I put them back to the oven for a few more minutes but they still stick. Any suggestion ? Hi Phoebe - I use good quality parchment paper, I've always found it easier to lift them off the paper because it's thinner. I test them when theyre still hot because if they're still sticking they need to go straight back in the oven. Usually theyre only ready when they lift from the paper with a small amount of resistance, so it sounds like yours need to bake for longer. You might need to lower your oven temp ever so slightly so that they can bake for longer without going brown. And then once you are able to lift them off the paper, I usually take them out of the oven and let them cool on the tray, which would cook them slightly further and ensure they aren't underdone. Is it ESSENTIAL to use powdered food colouring for the macarons or could I get away with a little of the gel food colours that I use for my buttercreams? Thanks! It's probably not a good idea to use liquid food colouring - it upsets the dry-wet ratio of the batter and comes out dull anyway. You're better off making plain coloured shells and using normal food colouring on the icing that you fill the macs with. I piped these free hand, so it takes a bit of practice, and theyre not perfectly the same but you can make it easier by tracing the shapes you want to pipe on the baking paper first! This looks amazing and I wanna try it asap, even though I have no events coming up! Haha. 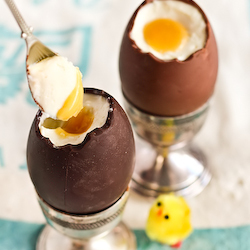 One question: how many eggs make 100g of eggs whites? Also, do the strawberries need to be hulled? Hi Daniela! So glad to hear you're having success with your macarons :) For this particular recipe I used powdered colouring, but I have been using gels a lot too. You have to use a fair bit to get a strong colour, somewhere between 1/4 to 1/2 tsp. I usually add the colouring while mixing up the meringue, it gives me more time to adjust the colour to my liking without the risk of overmixing at the end. Because of the added liquid I make sure to use a tsp of powdered egg white to keep the mixture stable. Hope that helps! Hi, wonderful recipe...that cake looks (and must taste incredible)!! What balsamic vinegar do you recommend to get that sweetness?? Hi there, it says the link to the video is private, but I'd love to see it! Thanks! Sorry! No idea how that happened. It should work now! I love all of your baked goods!!! They all look so amazing! I love the heart-shaped french macarons. Have you tried makign an ombre macaron before? ?